You must be a member of the Paris What's On Group to attend this activity. Would you like to join this group? 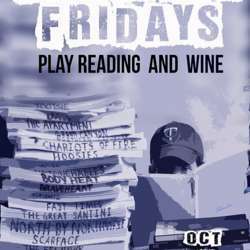 Yes let's be impressed by one hour of play reading in English by the talented acting team of The Big Funk Company, along with a glass of wine! This time the evening will be a series of short plays from American writer John Patrick Shanley and it is all comedies about choices! How interesting! What a classy evening, cos we're in Paris!!! Bonus it's only 10 Euros for the play reading + glass of wine!!! Looking forward to that evening!